Oppo has released a teaser image of its upcoming N3 smartphone, which features a swivelling camera for taking both front and rear-facing shots. The handset will be formally unveiled later this month, although the anticipation has been quelled recently by a slew of leaks. The official image published today by Oppo, which shows the camera and the back of the handset, mostly aligns with those leaks; the dual-flash setup is identical, although the raised plastic mount looks a little different. Oppo has confirmed the device will be available in two different materials though – stainless steel and an aluminium-lithium alloy – so it’s possible the photograph below is simply showing the alternative hardware variant. 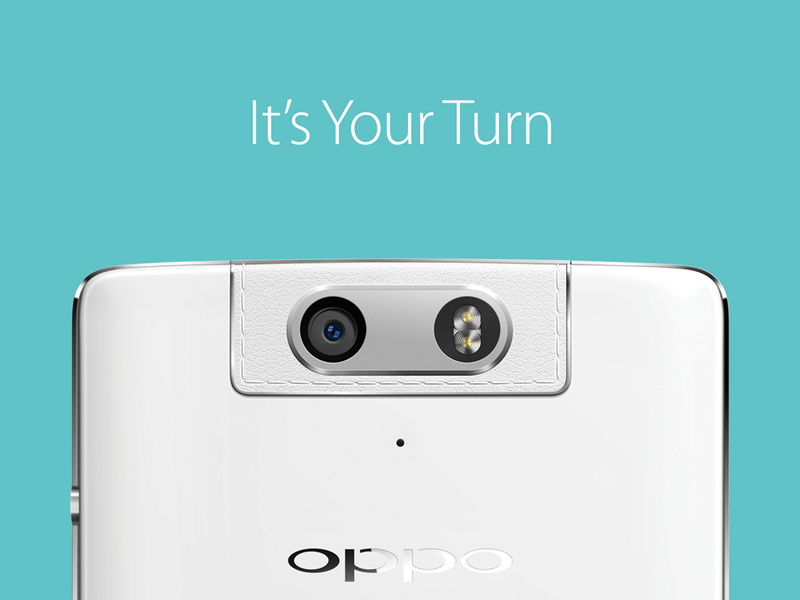 The image comes with the tagline “it’s your turn,” which, along with the outline and stitching, all but confirms the N3 will feature a rotating camera. For our impressions of its predecessor, the Oppo N1, be sure to check out our full review. What happened to the Oppo N2? I have no idea.